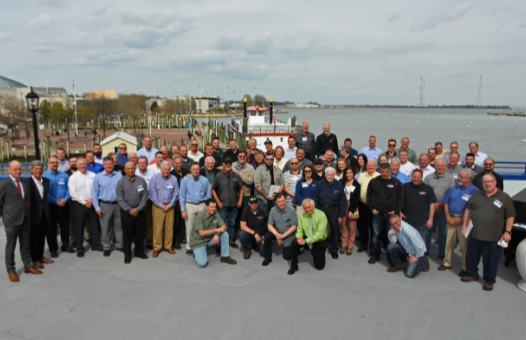 Heavy duty bus lift and truck lift leader Stertil-Koni recently celebrated record results at its 23rd Annual Distributors Meeting, held in historic Annapolis, Maryland. There, at a four-day event themed “Together We Prosper,” the company showcased product enhancements, new technologies and spotlighted major accomplishments of its extensive Distributor Network, which spans North America. The gathering also featured the latest product updates, hands-on training with all equipment, break-out sessions and even advanced courses on the installation and servicing of Stertil-Koni’s product line – which includes the broadest range of ALI-certified heavy duty vehicle lifts in the entire industry. Stertil-Koni also reported that 100% of its distributors were in attendance at the meeting including the company’s long-standing distributor principal of Syosset, New York-based D.L. Carr Associates, Ed Carr, who is a very youthful, active and successful octogenarian. The company also noted there was tremendous excitement among the attendees regarding multiple ground-breaking advances Stertil-Koni will be introducing over the next 12 months – including its award-winning Mobile Column Lifts.